On 11 April 2019, H.E. 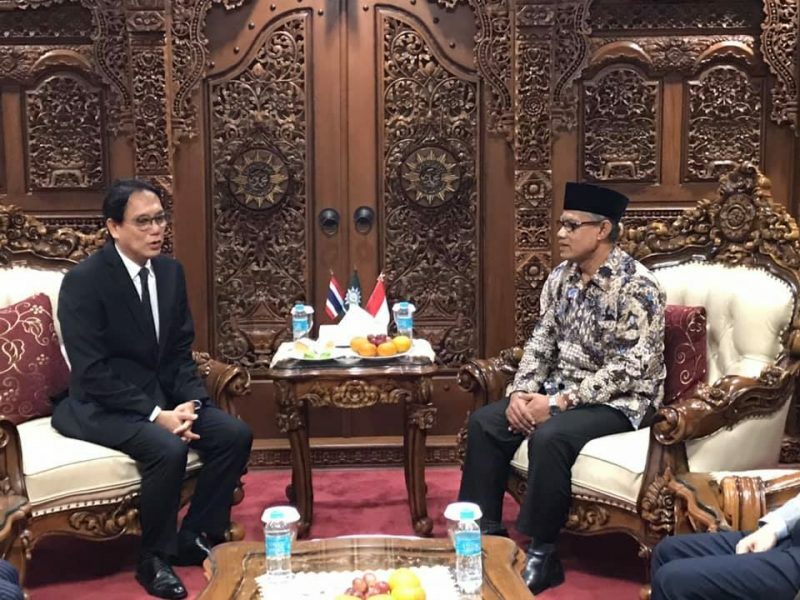 Mr. Songphol Sukchan, Ambassador of Thailand to Indonesia met with H.E. Dr. Haedar Nashir, General Chairman of Muhammadiyah. 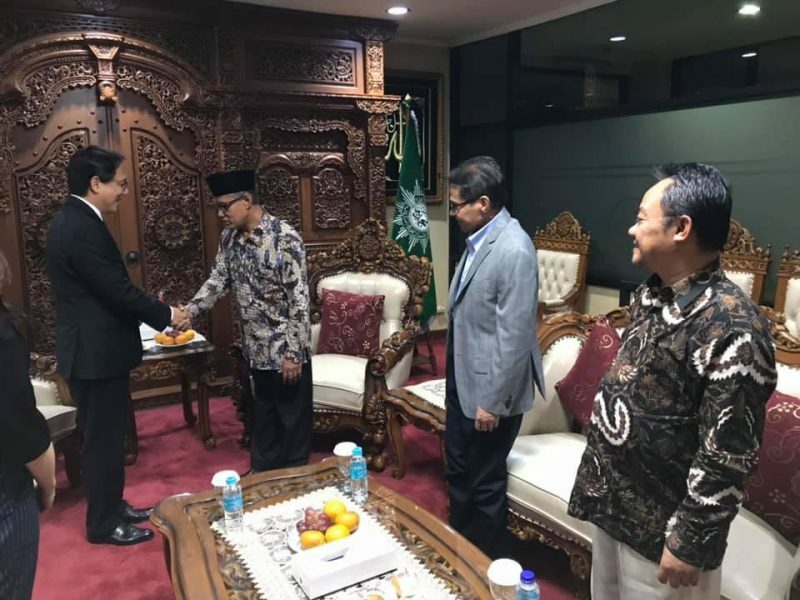 Both sides noted with their satisfaction the long-standing and close ties between Thailand and Muhammadiyah. 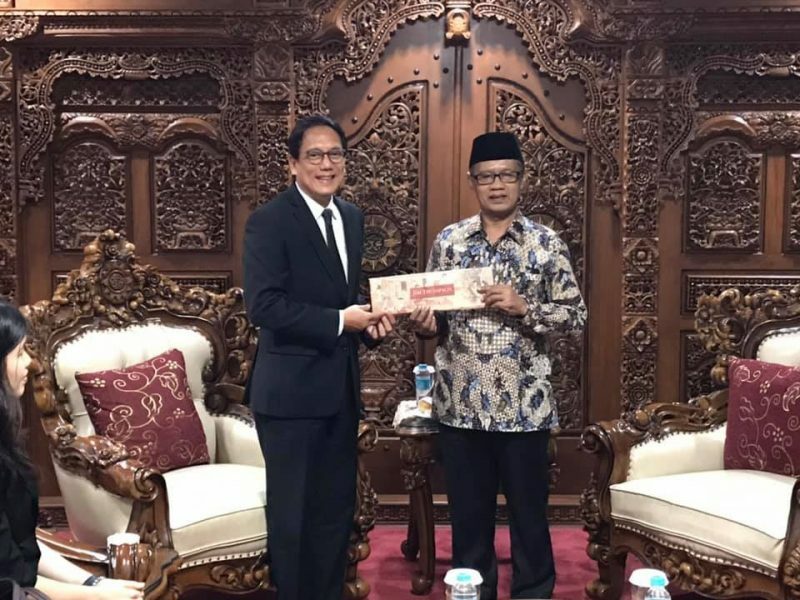 The Ambassador expressed his appreciation to Muhammadiyah for continuously extending scholarships to many Thai students studying at Muhammadiyah universities. 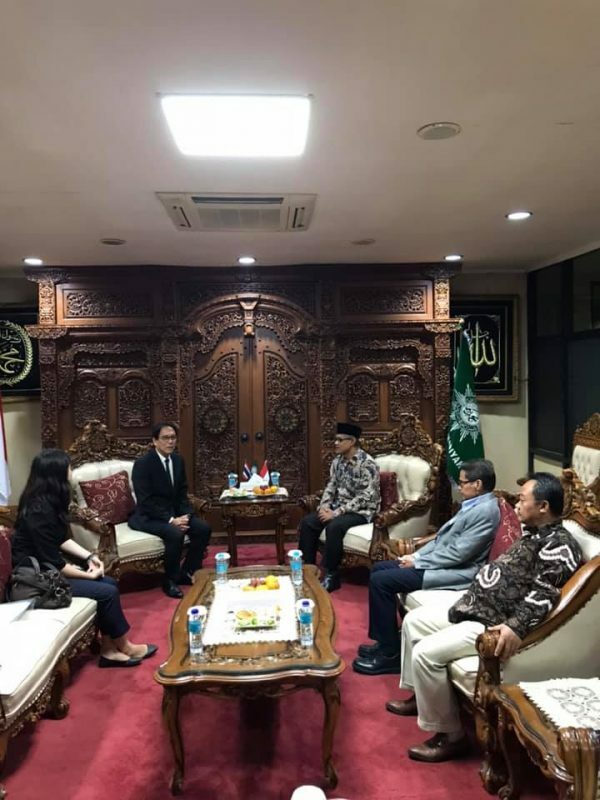 He also expressed his readiness to further promote more Thai students to come to study at Muhammadiyah universities which promote moderate and modern Islam, in line with the Thai Government’s policy. 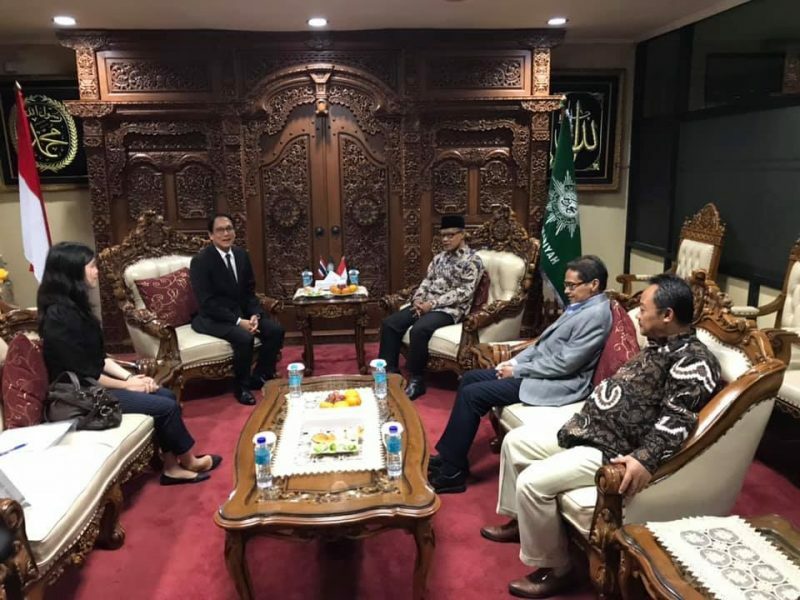 In addition, both sides agreed to further promote their cooperation, in such areas as education, the promotion of a peaceful multilateral society and Halal research. The Ambassador extended the invitation to H.E. 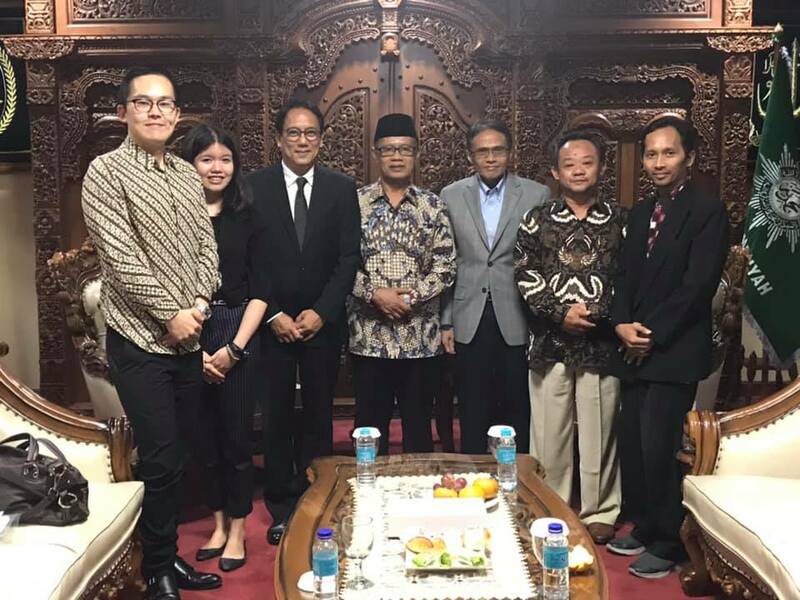 Dr. Haedar to visit Thailand in 2019 to exchange experiences and further promote education collaboration with relevant agencies and organisations in Thailand.